KUWAIT CITY, Aug 6: Concurrently with the requests submitted by Deputy National Assembly Speaker Essa Al-Kandari and a number of MPs for urging His Highness the Amir Sheikh Sabah Al-Ahmad Al-Jaber Al-Sabah to issue amnesty for those convicted in the case of storming of the National Assembly building, parliamentary sources supported the call of MP Ahmed Al-Fadhel for those convicted in the case to apologize for the actions they committed before calling for amnesty. 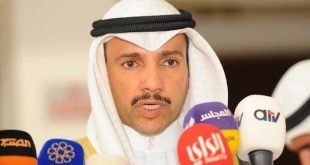 MP Al-Fadhel highlighted two aspects in his criticism over the calls for amnesty. 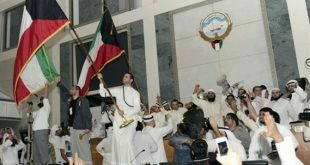 The first aspect is that those who submitted the request for amnesty did not include the convicted individuals in similar lawsuits related to the political movement such as those convicted in the storming of Al-Watan TV building and Andalus Police Station as well as those arrested for participating in demonstrations. The amnesty request does not include those convicted in lighter crimes such as posting controversial messages on Twitter and other social networking websites but without carrying out any violent acts. 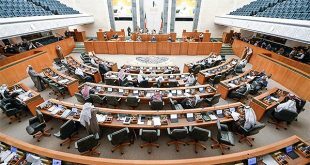 The second aspect, according to Al-Fadhel, is that the amnesty should be preceded by repentance and apology by those convicted for the crimes they committed, and submission to the court verdicts in line with the Constitution, which the convicted had taken oath to respect. Parliamentary sources said amnesty is not supposed to be requested in this way, indicating that the convicted should first start executing the court verdicts. They added that, after the court verdicts are accepted, the MPs and political leaders can seek amnesty via legal courses.